Grapes for this wine were picked at -10 degrees Celsius; cold enough to freeze the berries solid. During pressing, all the sugars, acids, and flavour components slowly drip out while leaving the water as ice in the press. A natural concentration results, with not altering of the delicate fruit flavours. Frgrant aromas of peach, pink grapefruit and honeyed green apples, with flavours of the same. A great sweetness acidity balance. Serve with many desserts, but best as a dessert on its own. 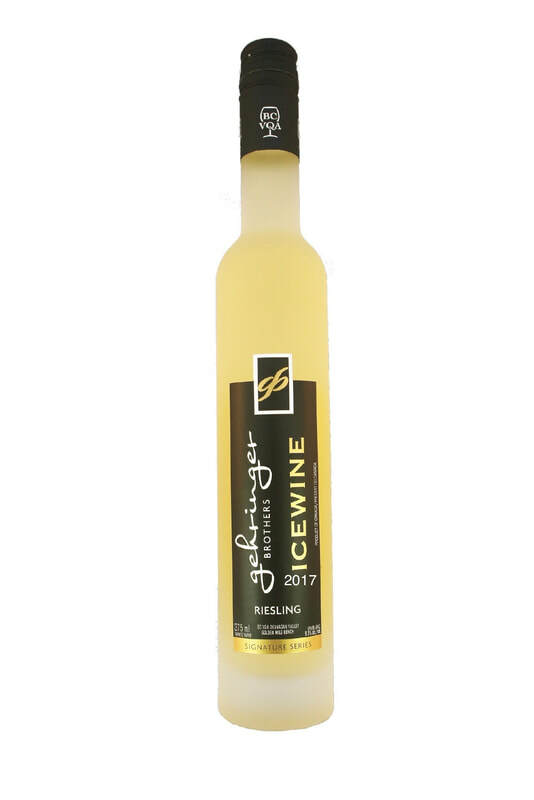 Click for more information about Icewine.